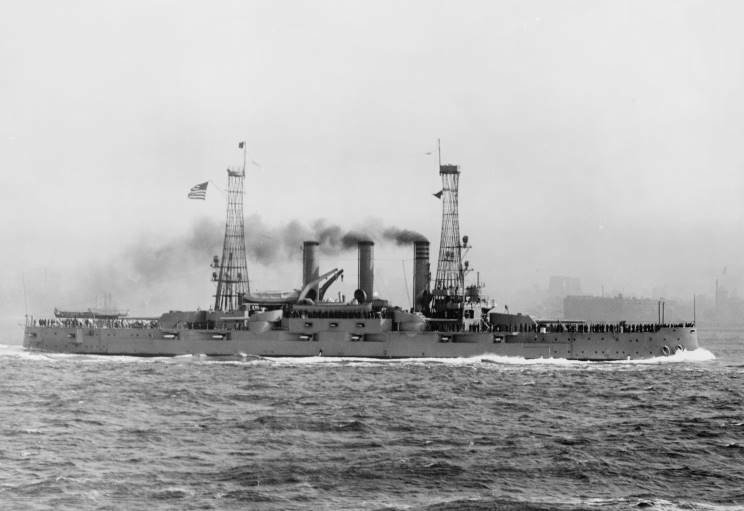 USS Minnesota seen in 1911 following her refit now with both cage masts. 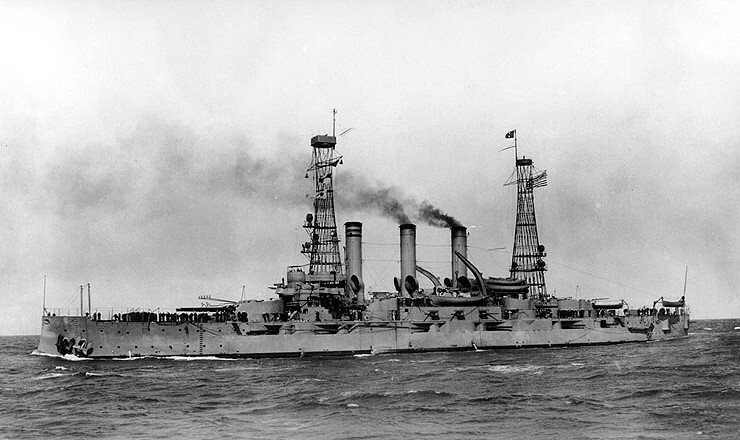 USS Minnesota seen underway, date and location unknown. October 1, 1919: USS Minnesota at the Philadelphia Naval shipyard damaged after hitting a mine on Sept. 29, 1918 at position 38.11N - 74.41W. 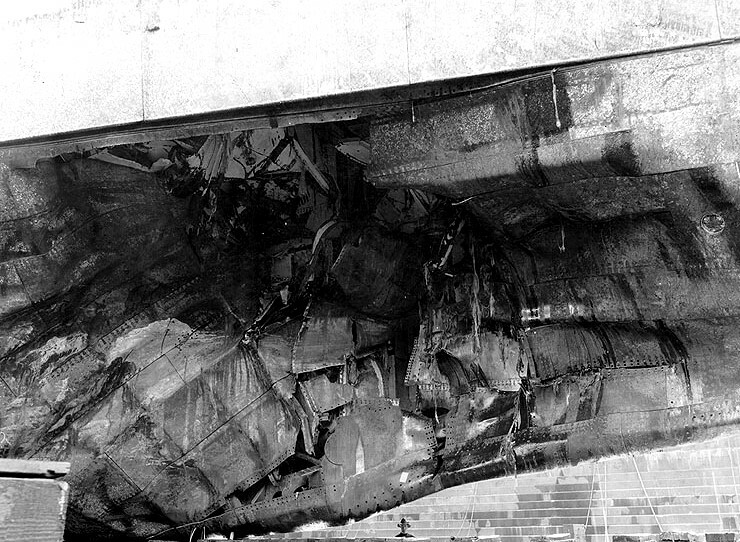 The mine, laid by SMS U-117 caused no casualties, but the ship was out of service until March of 1919. 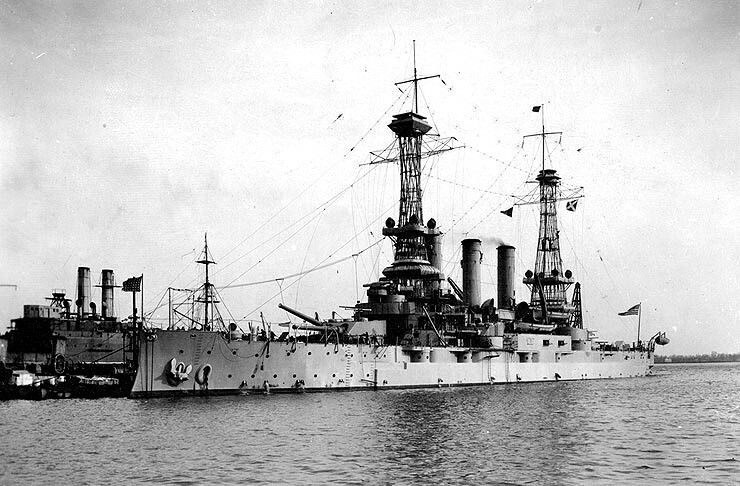 March 1919: USS Minnesota at the Philadelphia Naval Shipyard following repairs from mine damage. 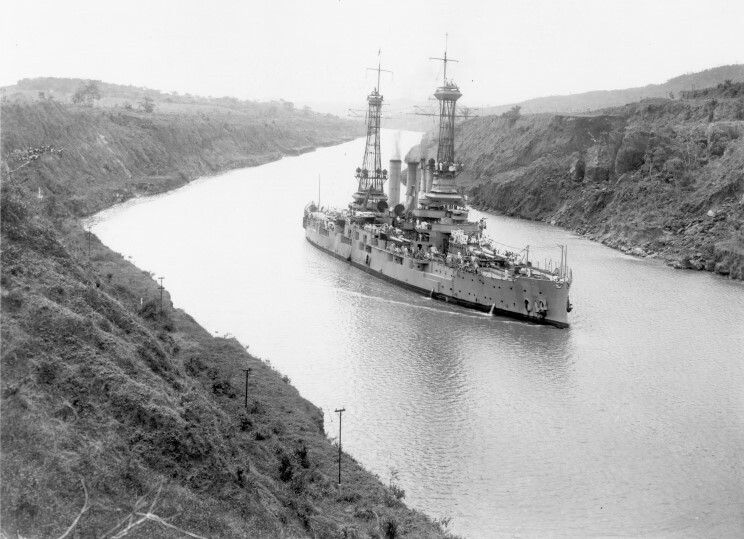 June 12, 1920: USS Minnesota seen southbound in the Panama Canal.